Every wall surface, including the floor & ceiling, is covered with natural rock salt to create a sterilized and negative ion environment. The Salt Room St. Charles also uses the newest top-of-the-line halogenerators to crush pharmaceutical grade salt into small particles for inhalation creating the microclimate. 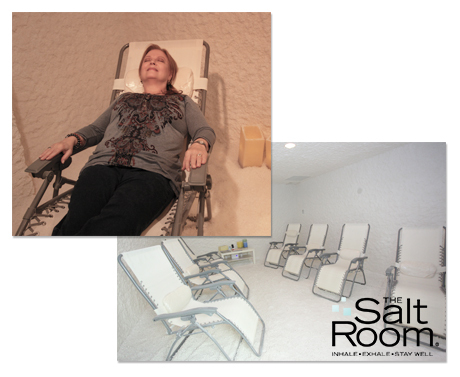 Each salt therapy session at The Salt Room St. Charles lasts 45 minutes. You can read a book or even take a nap while relaxing to the calming background music playing in the room. Your comfort is ensured by our Zero-Gravity, NASA inspired recliners. With your feet elevated at your heart-level or slightly above, this position puts the least amount of strain on the spine neutralizing the effects of gravity. The Zero-Gravity recliners allow you to relax while you’re seated and lets the discs in your spine return to their normal shape. The Salt Room St. Charles provides amazing Salt Therapy services. 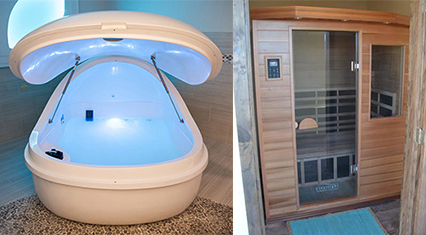 Choose a package that works for you and meets all your Salt Therapy needs. Come in today and start relaxing and breathing easier - Inhale, Exhale, Stay Well. If you prefer earlier appointments, please call to schedule!